Update 30.07.2017: Unfortunately, Wikifolio turned out to be not a genuinely social FinTech but rather yet another attempt to make quick money at costs of retail investors. Here we explain why (in German). But we keep the original post below for historical purposes. Wikifolio allows everyone to build a proven track record. If a portfolio meets some simple requirements, an ETF on it can be issued. Technically such ETFs are issued like certificates by Lang & Schwarz and are traded by L&S directly and on the Stuttgart Exchange. Wikifolio adheres to maximum disclosure policy: in particular, for every portfolio they provide complete trading history in real time. Wikifolio liberates portfolio management from regulatory cram and lets investors meet the portfolio managers directly (without expensive and dubious middlemen). At the same time the investors do not need to transfer their money directly to portfolio managers, so there is virtually no scam risk. Last but not least, numerous successful traders on Wikifolio clearly disprove the mantra that "nobody can beat the market". Probably the main shortcoming is a credibility issue: if Lang & Schwarz AG goes bankrupt all wikifolio certificates will become worthless. The bid-ask spread is sometimes infeasible (well, it was a big problem at the beginning, now it is a pretty rare case). Wikifolio is unsuitable for the traders that do not want to (immediately) disclose their trades. Wikifolio operates so far only in Germany-Austria-Switzerland (so called D-A-CH Raum) but they do expand world wide. The is absolutely no technical tools like stock screener, performance statistics and so on (letYourMoneyGrow.com partially solves this problem). Usually one means with a social trading or social brokers the case when the trades of "good" traders can be automatically copied in depots of their followers. However, there is little "social" behind this approach. As a matter of fact both brokers and "good" traders are, first of all, interested in the number of trades and not in the followers' wealth growth. Why? Because they both share the earnings from trading fees, not from performance fees. By Wikifolio it is not the case: a portfolio manager can choose the performance fee from 5% to 30% (of gain, not of capital under management :)) and the Wikifolio gets approximately a half of it. The performance is calculated according to the high-watermark principle, which is pretty fair. However, the watermark is reset every year, thus especially by highly-volatile portfolios it is still possible that an investor will pay performance fee although he actually lost money. Wikifolio gently but consistently tries to protect investors from investing in too risky portfolios that may be profitable in the short term but eventually go broke. In particular, an explicit warning is given for portfolios with leverage products (in German: Optionsscheine und Hebelzertifikate). Additionally, there are quality signs like "good money manager", "continuous growth" and so on. 4) So far the Wikifolio is an only opportunity to trade frequently with German stocks by little capital. 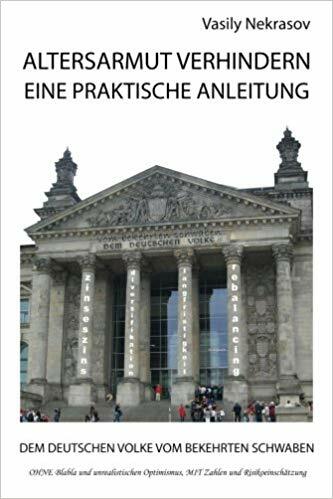 As a matter of fact, all German brokers charge about €5 per trade, so the transnational costs may rapidly become prohibitive. 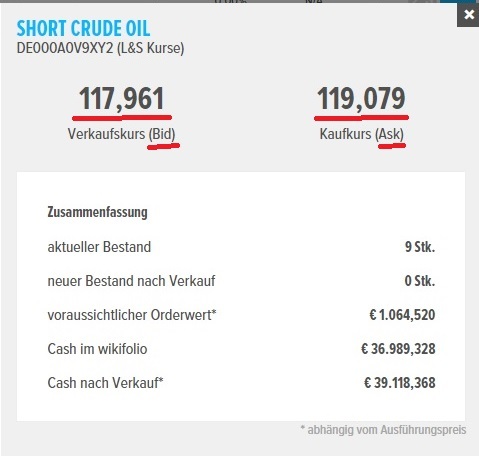 Contrary, the Wikifolio charges only die Pauschale von 0.95% of capital + performance fee (yes, it is still to pay them even if one trades for himself). 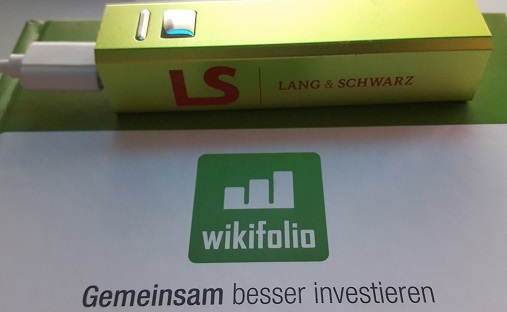 I, myself, run two wikifolios: the first one is Somewhat better than DUCK (ISIN: DE000LS9HDK3), which justifies its name and beats the DAX in terms of both absolute and risk-adjusted performance. The second is Smooth growth faster than bonds, which also deserves its name. (Just to make it clear, the Wikifolio is the name of the StartUp and a wikifolio is a portfolio on Wikifolio). And from my more then two years experience with Wikifolio I can affirm: yes, it is a good project! Of course it is not ideal, in particular too high bid-ask spread has irritated me sometimes. Additionally, I can hardly track my performance, there is even no tool to plot the performance of my wikifolios against a benchmark! However, the complete trade statistics and hourly OHLC prices can be downloaded. So everyone who possess some programming and data analysis skills can analyze them. And those who cannot or don't want to, can to rely on letYourMoneyGrow.com !